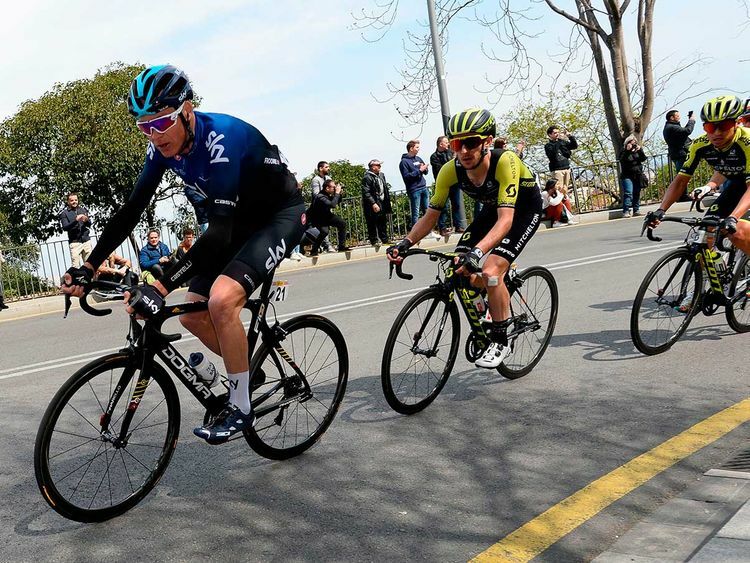 London: Chris Froome will lead Team Sky at the Tour of the Alps this month as he steps up preparations for the Tour de France, organisers said on Wednesday. The four-time Tour de France winner has not raced since last month’s Tour of Catalunya, where he finished 94th after crashing in the second stage. “Nibali and Froome are the Tour of the Alps’ top favourites as both achieved plenty of historical Grand Tour wins,” the race’s general manager Maurizio Evangelista said.